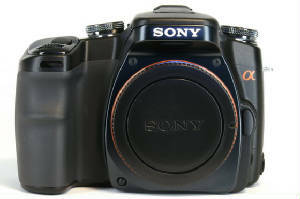 I've finally completed the Sony A100 review. It's a long, but interesting one, so check it out here. 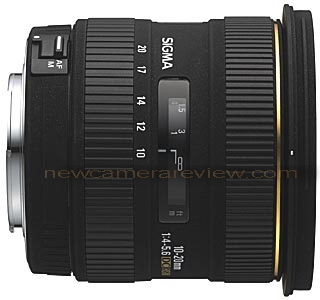 Sigma has come out with a few new lenses of interest. They're a great alternative to factory lenses, and usually much less expensive. Approximately 15mm-30mm equiv. on an APS-C digital camera. Three pieces of Special Low Dispersion (SLD) elements and three aspherical lens elements produce top quality optical performance. Inner focusing system ensures the length of the lens remains unchanged whilst controlling aberrations. Minimum focusing distance of 24cm (9.4") at all focal lengths. Relatively compact, lightweight for an ultra wide-angle zoom lens. MSRP $730 $499 street price. Minimum focusing distance of 20cm with a maximum magnification of 1:3. Aspherical lenses offer compact and lightweight construction. SLD and ELD glasses offer excellent correction of color aberrations. Price unknown at this time but a guess would be around $500. Great alternative to the cheap "kit" lenses. 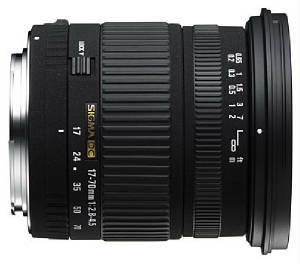 Sigma 17-70mm F/2.8-4.5 DC macro. Minimum focusing distance of 7.9", maximum magnification of 1:2.3. The new multi layer lens coating and lens design reduce flare and ghosting. Aspherical and SLD lenses, offer excellent correction for various aberrations. 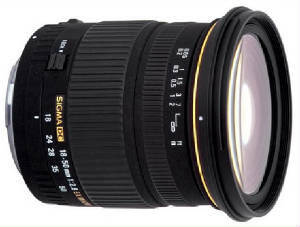 The lens offers a large aperture of F2.8 at wide angle. A slightly faster lens than the typical "kit" offerings.